//We recently got the opportunity to work with H+K on an explainer video for the new LINE Webtoon app. Powerhouse loves comics and supporting artists, so this project was right up our alley. Using slick graphics, our animation promotes their new mobile app, which can turn phones and tablets alike into comic books readers. Our spot also advertises their Challenge League, a special section of the Webtoon site that rewards the best comic with a prize of $30,000! Explainer videos come natural to Powerhouse animators, and because of its content, this one was particularly fun for us! 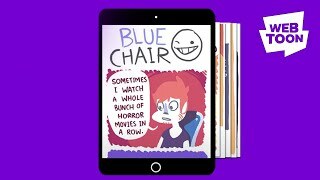 Using samples of comics from their Webtoon site, we used crisp shapes and clean animation to show how the mobile Webtoon app works. We created all our graphics for this video in Illustrator and put everything together smoothly in After Effects. So far none of our animators here have attempted to enter the Challenge League, but if you’re an artist, you should check it out and see if you can get that nice cash!